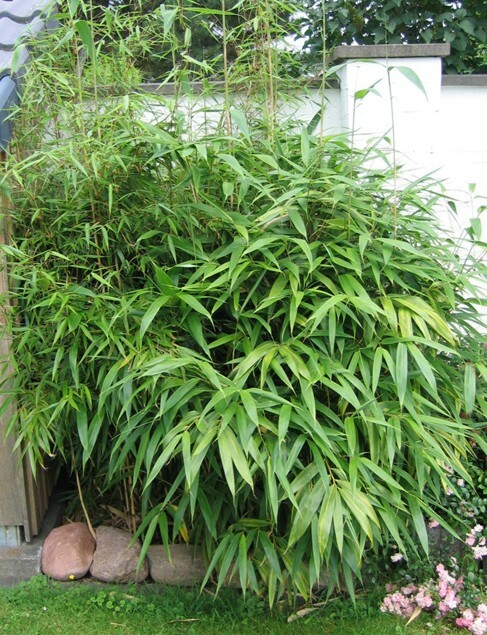 Arrow Bamboo is a very rapid grower with a lower habit than some of the other bamboos, it is also one that bulks better so good for a stand alone plant and less for hedging purposes. 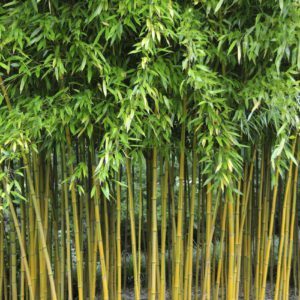 It is also good in a pot and does not mind being in a shady position. 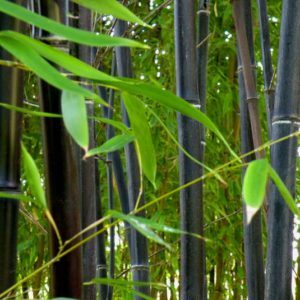 The tall upright olive green canes mature to pale brown and are surrounded by big leaves which are wind tolerant. 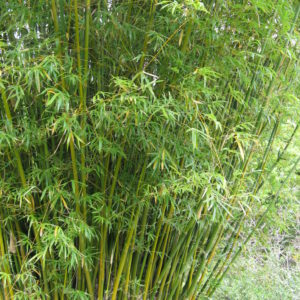 Tags: Bamboo Metake, Pseudosasa japonica 'Metake'.